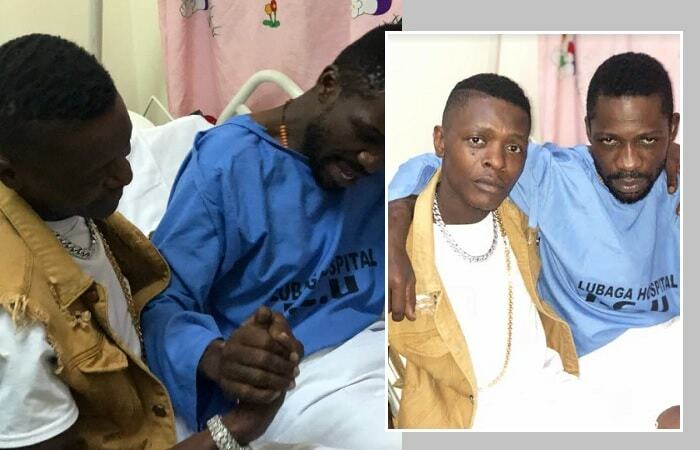 Star singer Jose Chameleone real name Joseph Mayanja was this morning at Lubaga Hospital checking on his long time buddy, Hon. Kyagulanyi Robert who is currently admitted there following the injuries he sustained in Arua. The two held a series of discussions. 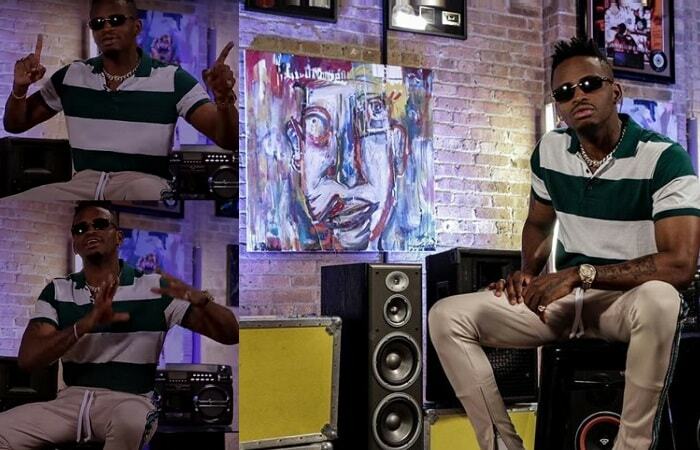 In one of the pics, Bobi Wine who seems to be waking from his sleep is seen trying to greet Chameleone and the other, the two are glued to the camera. Bobi Wine was admitted on 27 Aug, which was the day of their 7th wedding anniversary and also, the day when the Gulu High Court granted him bail after being charged with treason. They were to report to court today as part of the bail terms, but given his condition, he was unable. The case was adjourned to October 1, 2018. It should be recalled that hours after his arrest, Chameleone was one of those that came out with a long letter to the President calling for the release and pardon of the Kyadondo Legislator. He also did not forget to stand with his supporters in Masaka during the Shirumatic experience, he occasionally used Bobi Wine's grabber statement something that left the Kyarenga singer's supporters excited. Meanwhile, authorities at the hospital have been restricting visitors from accessing Bobi Wine as he needs more rest than anything right now, but some few like the former FDC leader, Dr. Warren Kizza Besigye were able to check on him.